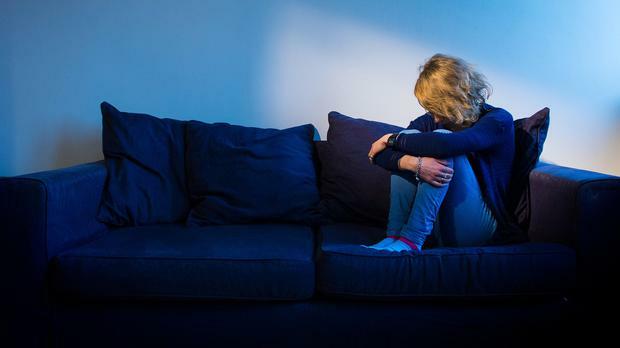 Dr Patricia Casey: Who can get costly new treatment for severe depression? Sunday marked the arrival in Dublin of a company calling itself Smart TMS. It is also located in several cities in the UK. TMS is the abbreviation for transcranial magnetic stimulation. This is a treatment used for severe depression and it is also being tested in other psychiatric disorders such as PTSD and generalised anxiety disorder. In Britain it is approved by the National Institute for Clinical Excellence (NICE) for the treatment of severe depressive disorder or one poorly responsive to antidepressants and/or psychological treatments and when electroconvulsive therapy (ECT) would be considered the next option. NICE compiles guidelines on a multitude of treatments in medicine and is considered the best source for identifying the evidence for specific treatments. Endorsement by NICE is an accolade although that does not necessarily mean that the health service has to make it available. Even in Britain TMS is not widely available although its efficacy has been well established from a number of randomised controlled trials. What is TMS? It is a non-invasive technique used to stimulate certain parts of the brain. Unlike ECT, there is no convulsion and no anaesthetic is required. Once the patient is comfortably seated in a chair, a small insulated electromagnetic coil is placed on their scalp. In people with depression, this is on the left side. The patient will have earplugs to mask the noise from the discharging coil which will then deliver a short, magnetic field pulse through the scalp and induce an electric current in the brain. The strength of the magnetic field used for clinical applications is similar to that of a standard magnetic resonance imaging (MRI) scanner. TMS is a relatively new treatment for psychiatric disorders having first been developed in Sheffield in 1985 by psychiatrist Andrew Barker. Its use in clinical practice is new but it has been well established in neuroscience research and in the evaluation of certain neurological conditions such as motor neurone disease since its development. Treatment of depression using TMS usually involves daily sessions four or five days a week for four to five weeks. Because it is administered on an out-patient basis, privately-owned clinics are easy to establish. The mechanism of action of TMS is not fully understood but neuroscience research suggests that TMS does induce changes in regional brain activity and in its metabolism. When the treatment is applied to one particular part of the brain, particularly the left side near the front of the brain, it has been shown to enhance this region's nerve connections with other regions that are crucial for regulating emotion. However, there is currently no evidence that it prevents relapse in depression, a common occurrence and when using TMS it is recommended that antidepressants and/or psychological treatments also be continued. One study found a 13pc relapse rate when followed-up for six months and a rate of 37pc after one year among those who initially responded. It is positive that those with difficult-to-treat depression have the option now to seek other treatments such as TMS. Yet as a psychiatrist, who potentially might have some patients likely to benefit from this, a number of questions present themselves. Has the treatment/equipment been approved by the relevant medical authorities? Can people self-refer? Will the Medical Council have some oversight? How closely will Smart TMS work with psychiatrists - can we refer public patients for this treatment and will the HSE fund it? For private patients, will their health insurer fund the €4,500 for the course of treatment? While the evidence that TMS is beneficial in severe and/or treatment resistant depression is firm, it is less so for many other disorders that are advertised. Robust evidence for the benefits of TMS in addiction and the other disorders should be made available. It is to be hoped that TMS treatment will be available to all who may benefit from it and not just the wealthy. For this to happen there must be co-operation and goodwill but firstly an educational package must be delivered so that we can be confident that our patients who require TMS are receiving treatments to the highest standards of evidence.